high school, Agoura High School. The cluster in the lower right is mostly coworkers from my previous job at LowerMyBills.com. The 2 less-defined clusters to the right of my high school cluster is a mix of family and college friends. 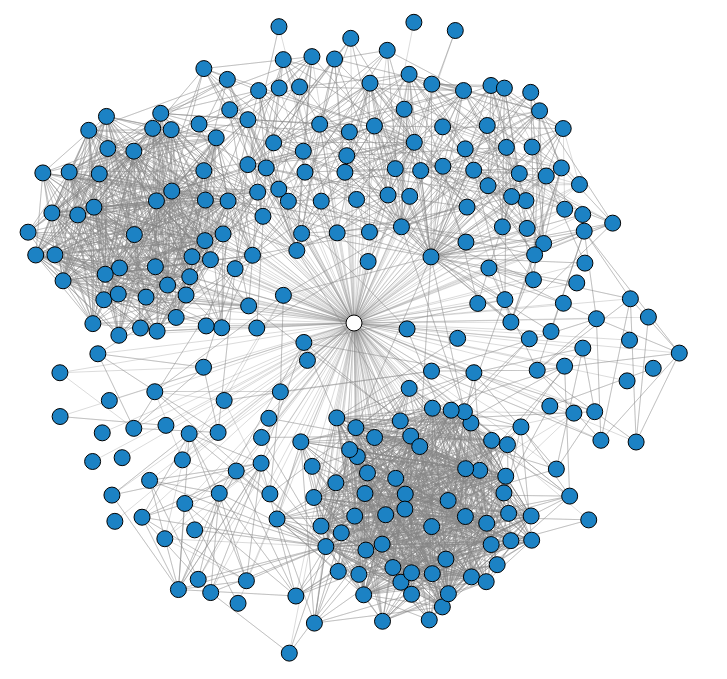 Given all the connections among a person's friends, can you recognize his or her romantic partner from the network structure alone? It measures something called dispersion - the extent to which two people's mutual friends are not themselves well-connected. On my network, it worked extremely well, identifying my wife as the person with whom I have the highest dispersion score (called assimilation score in this tool). This means that it is through my wife that I am connected to the most people that aren't themselves connected. This is natural, of course, because I have met my wife's high school friends, college friends, and coworkers, most of which don't know each other. There are a few people that rank high on the list that aren't actually "central" to my life. If I ignore all the people with less that 3 mutual friends, the list becomes much more meaningful and predictive of who really is central to my life. The ability to analyze my social network like this motivated me to visit Facebook and Unfriend acquaintances that I really never developed much of a relationship with. Now, both my Facebook news feed and Dispersion scores will be that much more meaningful!